While scientific knowledge of asteroids has increased significantly in the last decade, Galileo's recent flight past the main-belt asteroid, Gaspra, may yield new information about planet formation in the early solar system. "These small rocky bodies represent matter in a pristine form," said Dr. Alan Harris of JPL's Geology and Planetology Section. "Asteroids may be able to tell us more about the early solar system than planets, because they have evolved far less. Their chemical and physical structures are nearly the same as they were during the formation of the solar system." Asteroids, named for the Greek word meaning "starlike," are the remnants of planetary materials that failed to accrete during the formation of the solar system about 4.6 billion years ago. More than 90 percent of all known asteroids have orbits in the vast region of space between Mars and Jupiter, called the main asteroid belt. 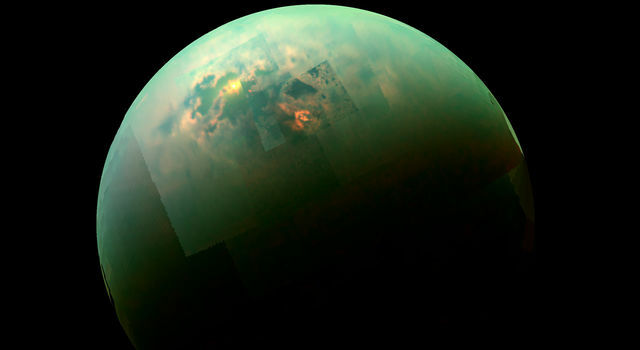 "The gravitational disturbances surrounding Jupiter prevented any materials from forming, or coalescing, in that region," Harris said. "So far, we would estimate there are about 10,000 asteroids 10 kilometers or larger in the main belt. About 1,000 are the size of Gaspra or larger." in which the planets of the solar system orbit. The main asteroid belt stretches from its inner edge of 2.2 astronomical units (AUs) to about 3.3 AUs, or 200 to 300 million miles from the sun. Planetary scientists have been able to calculate and catalog the orbital paths of about 5,000 of the asteroids. Some asteroids have very different orbits, however. The Trojan asteroids, for instance, orbit far beyond the main asteroid belt, circling the sun in step behind and ahead of the giant planet Jupiter, at the same distance of 5.2 AUs that Jupiter orbits the sun. Others follow elliptic paths that cross the orbits of Mars and Earth. A few even come closer to the sun than Mercury. Asteroids that cross Earth's orbit are called "near-Earth asteroids." The most common subclasses are the Apollo, Amor and Aten groups. "Among the near-Earth asteroids, the largest we have discovered is about 10 kilometers (6 miles) across," Harris said, "but the more common asteroids are 1 kilometer or larger. We estimate there are a couple thousand that size, of which only 200 have been discovered." While a chance collision with an asteroid that crosses Earth's orbit is possible, Harris said the probability is low. "On average, the chance of a collision with a single asteroid will be about once every 100 million years," he said. "Since there are about 2,000 of them 1 kilometer or larger in size, the Earth will be struck by one such asteroid about every 50,000 years." The Diablo Canyon crater near Flagstaff, Ariz., is an example of a collision with a meteorite that was less than 1 kilometer in diameter. 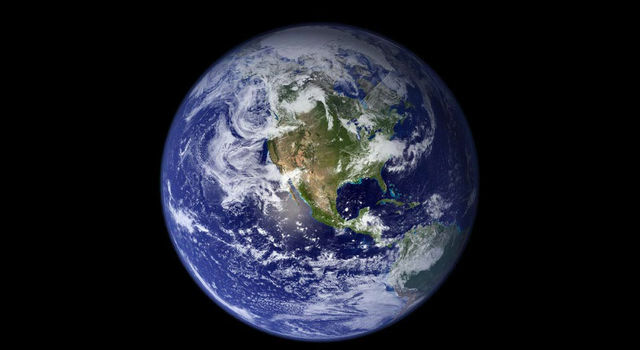 "But every 100 million years or so, the Earth is struck by one of the largest near-Earth asteroids (10 kilometers or more across), causing massive biological extinctions," Harris added. "One such event is thought to have caused the extinction of the dinosaurs 65 million years ago." Asteroids vary not only in size but in shape. Most are irregularly shaped, with a long and short axis, and may look something like a potato. The largest known asteroid, Ceres, has a diameter of 570 miles. Gaspra is a small, main-belt asteroid, about the size of the Martian moon Deimos, with an average diameter of eight miles. Ground-based observations indicate Gaspra is quite irregular in shape, perhaps twice as long as it is high. Asteroids also vary in composition and are grouped accordingly in taxonomic classes, Harris said. Their colors and albedos -- the amount of sunlight reflected off the asteroid -- are measured to determine the object's composition and classification. The variety of colors and spectra suggest different surface compositions. "The most common asteroids are extremely dark and thought to be composed of minerals analogous to a class of meteorites called carbonaceous chondrites," Harris said. They are known as the C-asteroids, where "C" implies carbonaceous. C-class asteroids dominate the outer part of the main asteroid belt. S-asteroids, such as Gaspra, are the next most populous group. The "S" refers to silicaceous. In these asteroids, the dark carbon compounds are missing, so the objects have moderate albedos -- typically about 16 percent -- and reddish hues. The compositions of these asteroids are thought to be combinations of iron and magnesium-bearing silicates, and may also contain some metallic nickel-iron. Scientists want to know whether the S-asteroids, like the C-asteroids, are linked chemically to the ordinary chondrite meteorites, the most common class of meteorites. They hope Galileo's close-range spectral scans of Gaspra will tell them more about the asteroid's composition, as well as its crater density and surface structure. "The third type of asteroid family is the M-class, for metallic asteroids," Harris said. "These asteroids also have moderate albedos, but without the spectral signatures of silicate compounds." Distribution patterns of the asteroids show a clear progression with solar distance. "The S-asteroids are closer to Earth than the M-asteroids and C-asteroids," Harris said. S's are found primarily in the inner regions of the asteroid belt, while M's and C's seem to be distributed in the middle and outer belt. Some asteroids may also be the cores of extinct comets. Scientists believe that between 10 to 50 percent of the near-Earth asteroids may be comet cores. "The only clear distinction between a comet and an asteroid lies in whether the object has a visible atmosphere," said Ray Newburn of JPL's Atmospheric and Cometary Sciences Section. "If the object begins to produce copious gases as it nears the sun, it's considered a comet," he said. "Comets contain water ice and other volatiles that vaporize when heated by the sun. Generally, they begin to produce an extensive atmosphere, called the coma, and a tail of escaping gas as they warm up. "By contrast, asteroids are inactive bodies," Newburn said. "Some could be the cores of extinct comets." 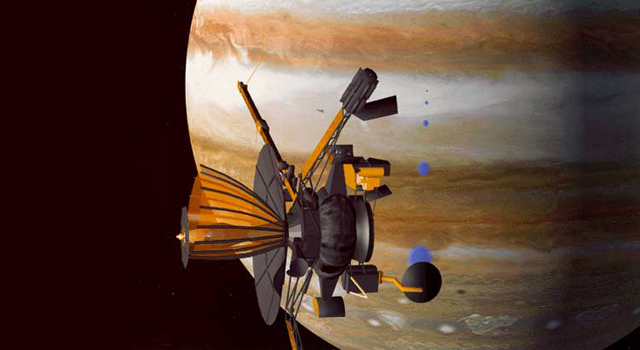 The Oct. 29, 1991 Gaspra flyby was part of NASA's Galileo mission to Jupiter. 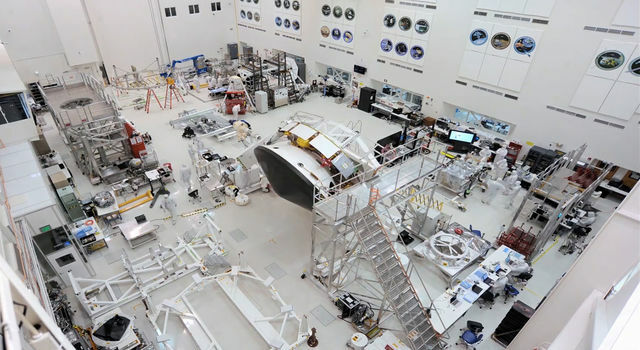 The mission is managed by the Jet Propulsion Laboratory for NASA's Office of Space Science and Applications.